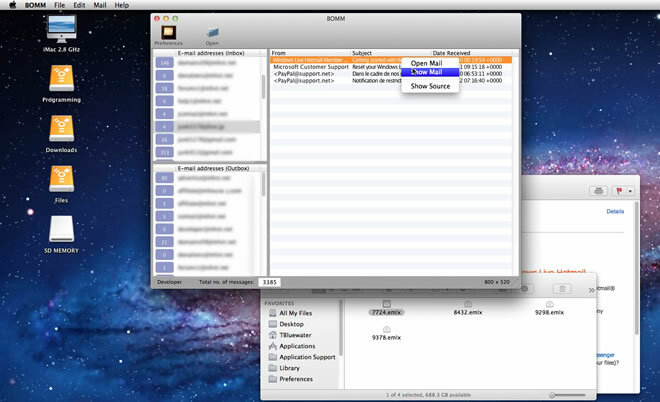 BOMM is a Mail assistant that is designed so that users can browse old messages. 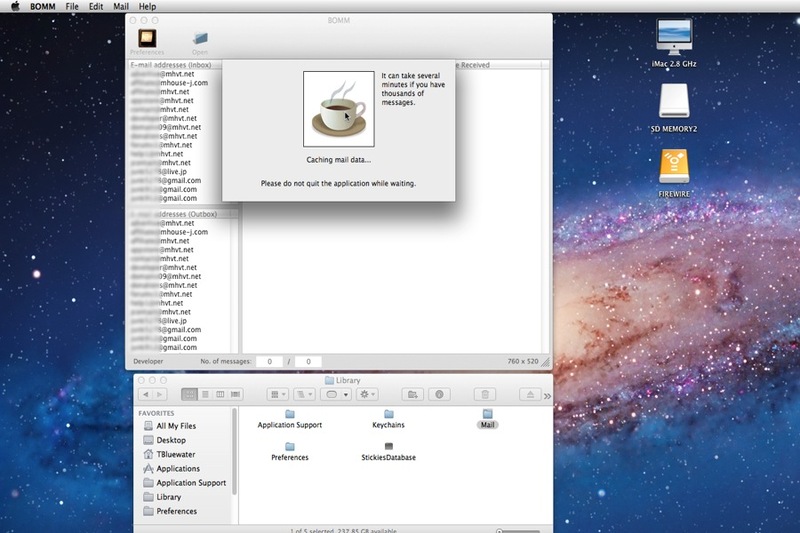 If you have a Mail folder from Leopard/Snow Leopard, if you have a backup Mail folder for a rainy day, you can use BOMM to browse those old e-mail messages on a computer running Snow Leopard or Lion. 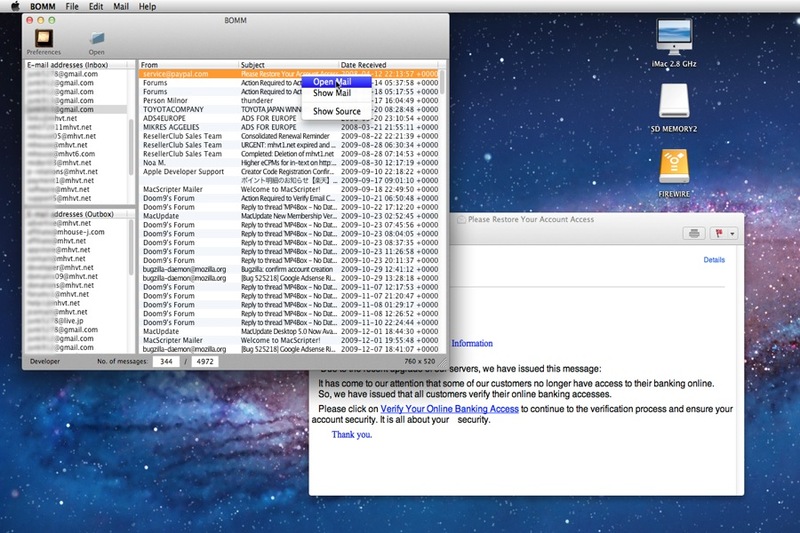 BOMM can reconstruct e-mail addresses as account names. Sources: Mail folders from Mail v. 3 (with Leopard) and 4 (with Snow Leopard). 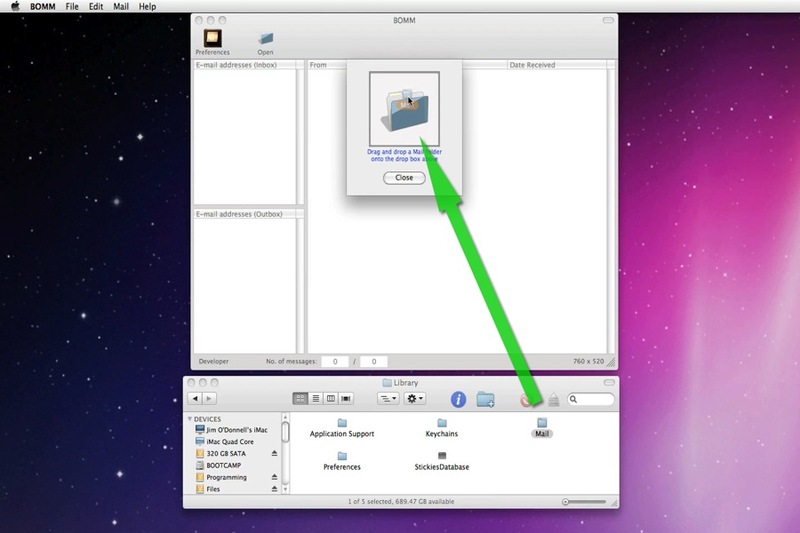 Click on the button to download a demo/trial version of BOMM for Mac OS X 10.6 & 10.7. The application will show progress while reading Mail data. 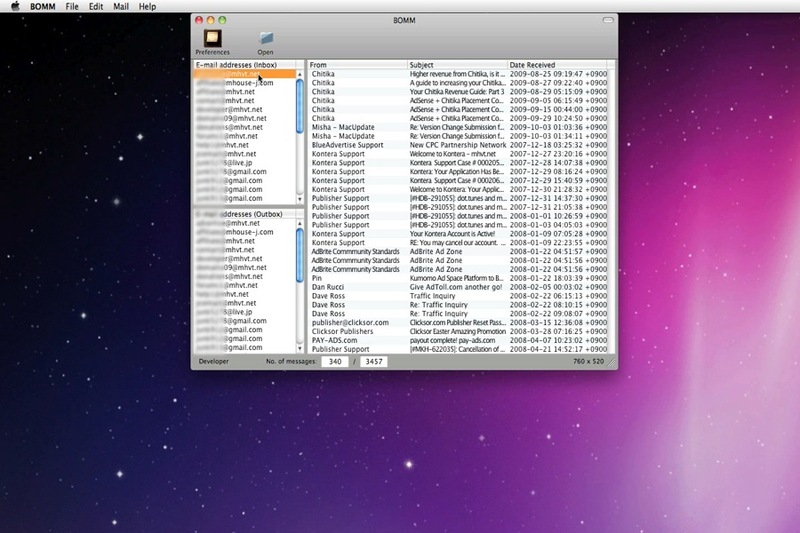 The user can run a search at the bottom of the window to find messages that fall for a particular phrase. The application auto-hides vertical scrollbars the Message frame. When it finishes retrieve Mail data, the applications another window before it finishes reconstructing e-mail messages as accounts. The number of messages for each account appears on the sidebar. 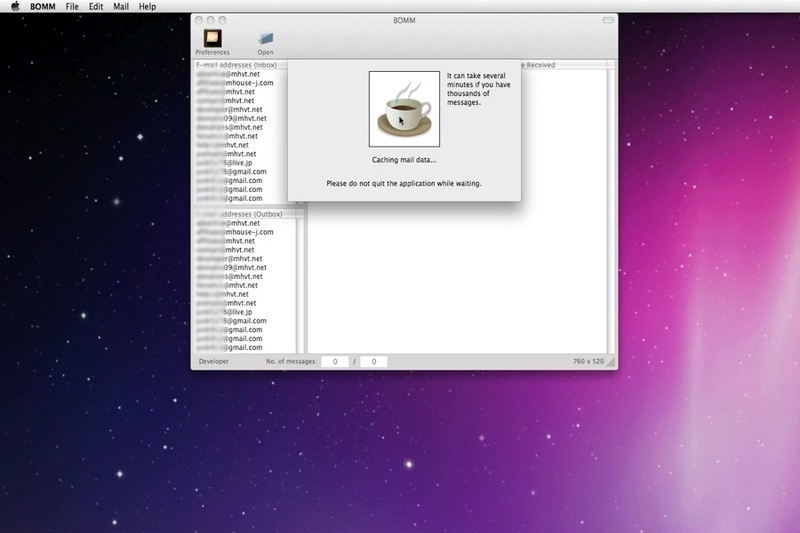 Preferences: Enabling or disabling 'Bring message to top,' the user has an option of bringing a message window on top of others or letting application's window remain at the top. BOMM is a product of MacHouse. Mail is a product of Apple, Inc.